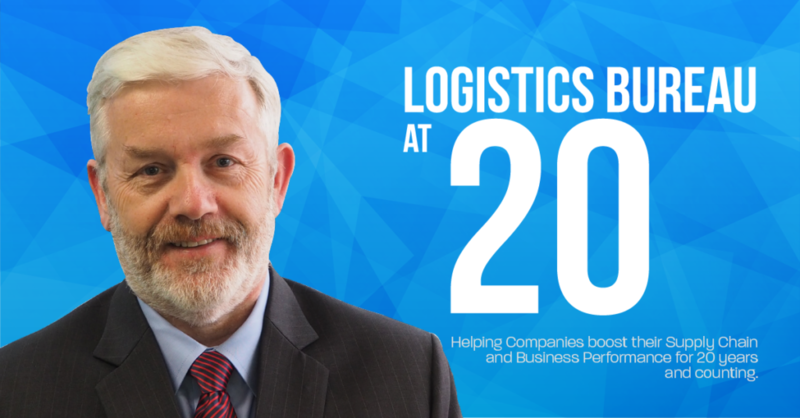 Logistics Bureau is 20 years old this month! WOW! Doesn’t time fly when you’re having fun. We’ll be doing a few things in the coming months to celebrate our Birthday. Because without the support of our fantastic consulting clients, our Academy members, our consulting and back office staff and of course our industry colleagues and friends we would not have enjoyed such a wonderful ‘first’ 20 years. So thank you all for your support, whether it has been for 20 years, or just the last 20 days! Without you, Logistics Bureau would not have turned into such a great success story. Last week I emailed everyone on our database, and on behalf of each person, we donated sight saving vitamins to 20 children in East Africa. That’s 20 kids we were able to help, for everyone on our contact list. That’s a lot of people! And a lot of kids! Plant 20 trees in the Daintree Rainforest in Australia. Provide 20 weeks of education for kids in crisis in Vietnam. Plant 20 trees in Central Borneo to help regenerate Orangutan habitats. But I forgot to give on behalf of YOU, all our LinkedIn, Facebook, Twitter and YouTube followers too! That will be a lot of people, and a lot of water! At Logistics Bureau it’s all about people. Three groups of people. Our clients, our staff and helping those in need. So with your support, we have reached well over 3 million micro giving impacts! Next milestone is 4 million! We’re getting very very close…. And we’re really looking forward to the next 20 years! Your blog is very informative and relevant to Logistics Service Providers.Really I appreciate it.